Happy Valentine’s Day!!! Flowers Or Chocolate????? 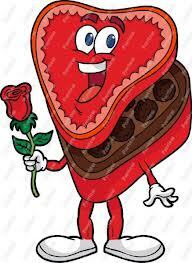 Flowers are nice………..but there is nothing like CHOCOLATE!!!!!!!!!!! Hi Nancy! Now we are talking! So did you receive both? Flowers! They’ll last me longer than a box of chocolates. Flowers…candy…I guess you can’t go wrong either way! Hope everyone had a nice romantic day!